Chinch Bugs love hot dry weather. They also love grain sorghum or milo if you want to call it that. This week we found some causing young grain sorghum plants to wilt and they were taking some of the plants out. Here’s Stan Deal finding some chinch bugs in his grain sorghum planted after corn harvest. They were numerous here. Here below is an adult Chinch bug, they are very small , 1/16 of an inch long or so, and black and white when grown. We often see the immature stages which are reddish with a white dot or stripe across the back. They have piercing sucking mouthparts and can do a lot of damage in a hurry, especially if the crop is drought stressed and young. I had an interesting call this week asking if young calves need water. We might think of them getting all they need from cows milk, but no they need water , and it can be a deadly situation when it’s hot and dry. The cattleman had water nearby but he noticed that the 2 month old calves were panting like they were thirsty and then noticed that they couldn’t reach the water in the trough, they were too short. One thing that happens over time at almost every cattle water trough is that cattle drag or pack down the level of dirt at the water trough. In other words, what may have been with in reach may not be in reach later. When temperatures are high the amount of water that cattle need rises as well of course. In talking with Decatur County Agent Mitchell May, he says a 250 pound calf may use 3 gallons a day and even the youngest calves need clean water. About 6 months ago the cattleman had dirt and rocks piled up around this waterer so that the calves could easily get to the water. The level was up to about where the first ring is, where my knees are now in the photo. It’s amazing how quickly cattle will drag dirt away from the watering trough. Cattleman Robert Faircloth says that during rainy weather it happens even quicker, I guess the muddy dirt sticks to their hooves worse? Here’s some info below from the UGA website also more info is at this link. Cotton/Peanut Research Field Day set for September 7, 2011 in Tifton, Ga.
Tifton, GA – Aug. 17, 2011 – The Georgia Cotton Commission, Georgia Peanut Commission and the University of Georgia Extension Cotton and Peanut Teams, will co-sponsor a joint research field day on Wednesday, September 7, 2011, in Tifton, Ga.
Here’s a bad area of white mold in peanuts. Plant pathology is one of the topics of research that will be adressed at this event. There is no charge to attend the field day and everyone should arrive at Gibbs Farm between 8:30 and 9:00 a.m. After a short welcome, the trams will leave about 9:05 a.m. and the tour will conclude at 12:30 p.m. The purpose for the tour is to showcase current research which is funded by the respective commissions in plot-side presentations by the researchers themselves. The sponsors’ goal is to provide an educational environment for cotton and peanut producers and give them the opportunity to pose questions directly to the researchers and to express opinions and concerns pertinent to the production of their crops. Chairmen of the peanut and cotton commissions, Armond Morris and Louie Perry, respectively agree this event presents a chance for the commissions’ board members and staff to interact with growers and other attendees. “It is an excellent place for both commodities’ producers to observe, firsthand, the research program funded by their check-off investments,” Morris and Perry says. Both Commissions urge cotton and peanut growers to mark their calendars and plan to attend this important event. This is an excellent place for cotton and peanut producers to observe, first-hand, the research program funded by their check-off investments. Immediately following the tour, a lunch co-sponsored by the Georgia Cotton Commission and Georgia Peanut Commission will be served at the Blackshank Farm. Please RSVP to Sara Cates at 229-386-3006 or sbcates@uga.edu by Friday, September 2, 2011, if you plan to attend. A. 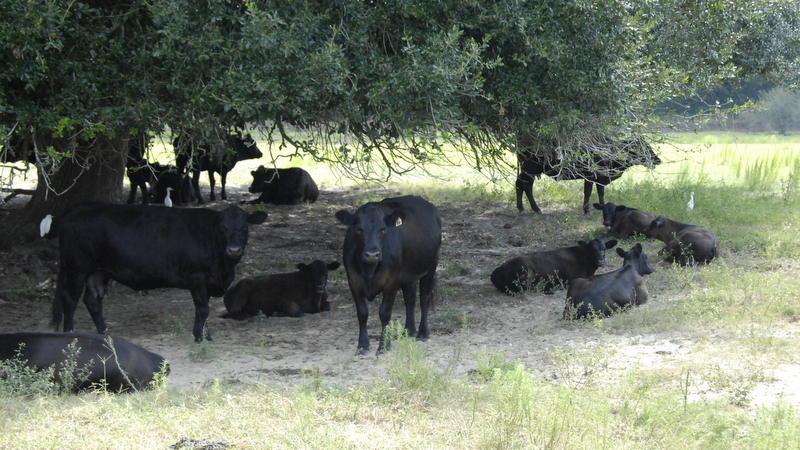 To record differences in ability of bulls to gain in uniform environment. B. 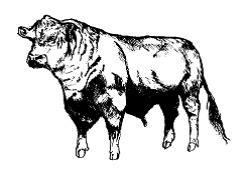 To provide breeders with a sound scientific basis for selecting bulls with ability to gain weight rapidly and to make such bulls available to cattlemen. C. To serve as an educational demonstration of the value of records of performance. Click on Rules – 2011-12 (pdf). Click on Rules Letter: 2011-12 (pdf). The issue is yellowing in parts or sections of fields. 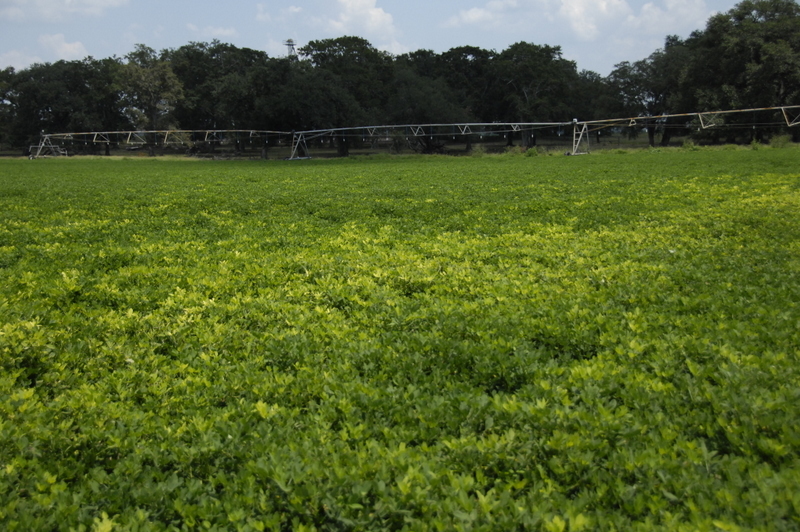 It looks as if the primary issue is manganese deficiency. If you look closely, the yellowing only goes down 3-4 nodes from the terminal. Most of the leaflets are showing the typical Mn deficiency symptom of interveinal chlorosis. 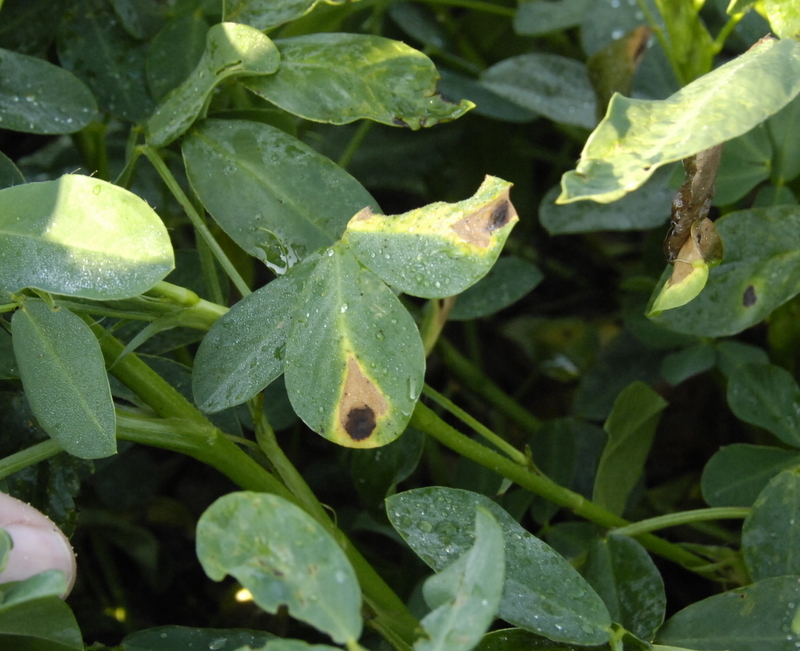 Manganese deficiency is associated with a high pH (6.5 or greater). If the fields showing the conditions are within 3 weeks of harvest there is no economic advantage to treating them. If the fields are greater than 3 weeks from harvest, spot spraying the affected areas with manganese sulfate may be recommended. Drs. 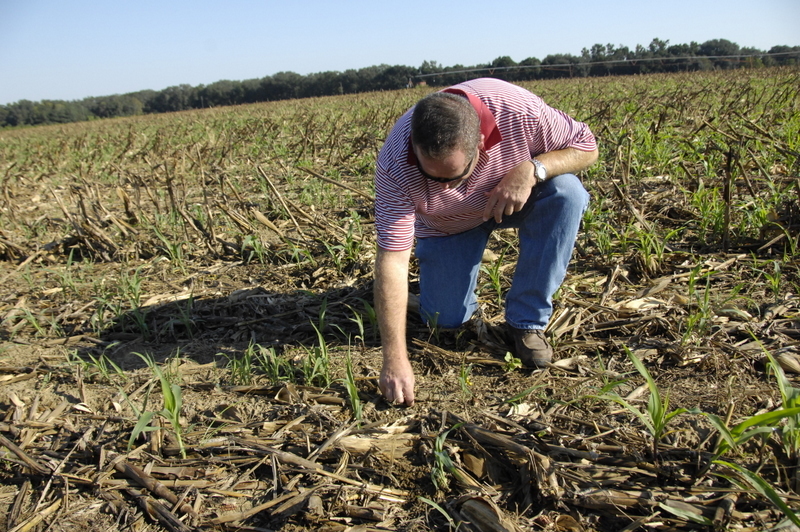 John Beasley and Glen Harris, UGA Extension Scientists contributed to this article. Leptosphaerulina crassiaca is the causal organism of Peanut Leaf Scorch. We’re seeing more of this than I care to see. Dr Bob Kemerait, UGA Extension Plant Pathologist, says it causes some leaf symptoms but does not cause yield loss in peanut. 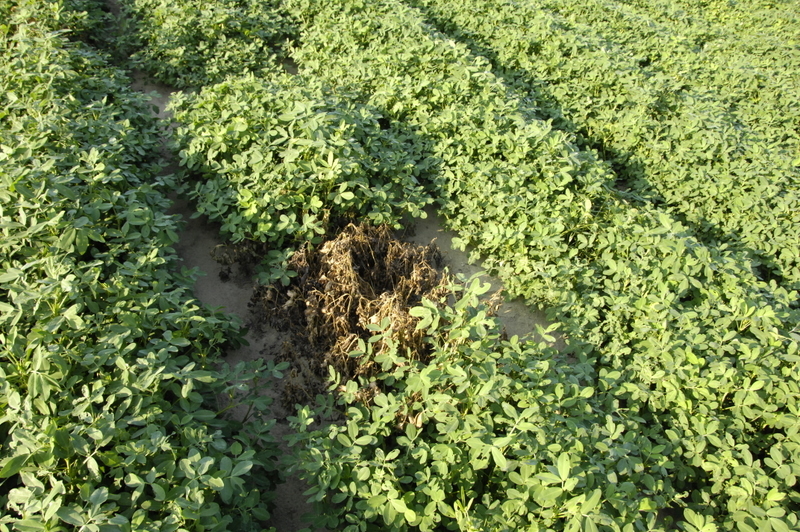 Our normal fungicides used in peanut probably help with this as well. The Georgia Peanut Tour Committee has set September 27-29, 2011, as the dates for the 25th Annual Georgia Peanut Tour. An Early Bird Hot Topics’ Seminar will also be held Tuesday, September 27, at 3:00 p.m.at the Holiday Inn Express in Bainbridge, Ga. 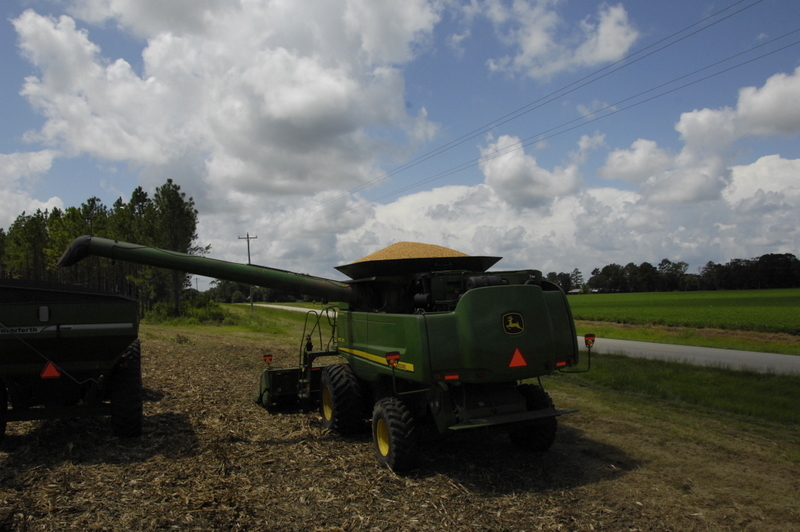 The tour spotlights the southwest part of Georgia’s peanut production area.The tour includes a cross section of field conditions, peanut harvest clinics, production research at the University of Georgia Attapulgus Research Farm, peanut handling and grading facilities on-farm demonstrations and equipment manufacturing. The tour also includes a special private performance of the local annual production of “Swamp Gravy,” a community play with local citizens about the life, events and antics of their forefathers and families who settled the area. 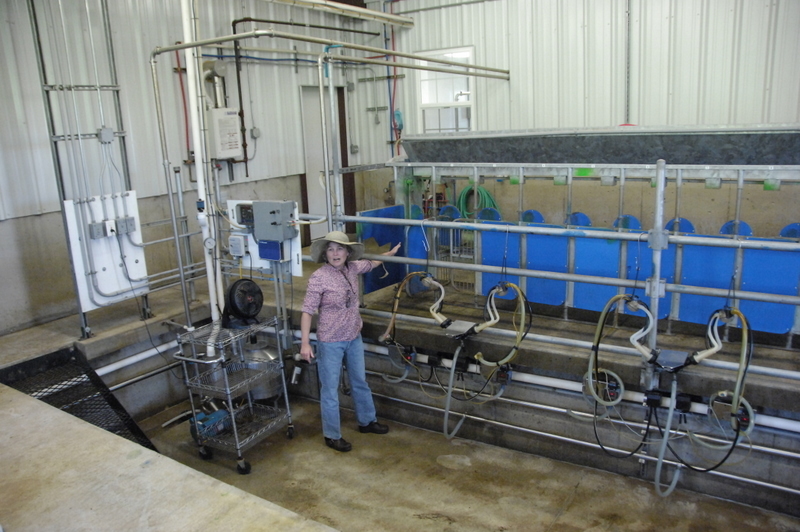 Last week I asked about my photo of a small scale dairy and I didn’t have anyone to answer correctly. Someone thought it was a goat dairy. It was a Sheep Dairy. They milk sheep there twice a day. Then they make cheese from the sheep milk that retails for around $30 per pound. I tasted it and it’s different but good if you like it. I toured it on my trip to Kansas a couple of weeks ago. The dairy is on Green Dirt Farm near Weston, Missouri. Here’s a link to their web site. 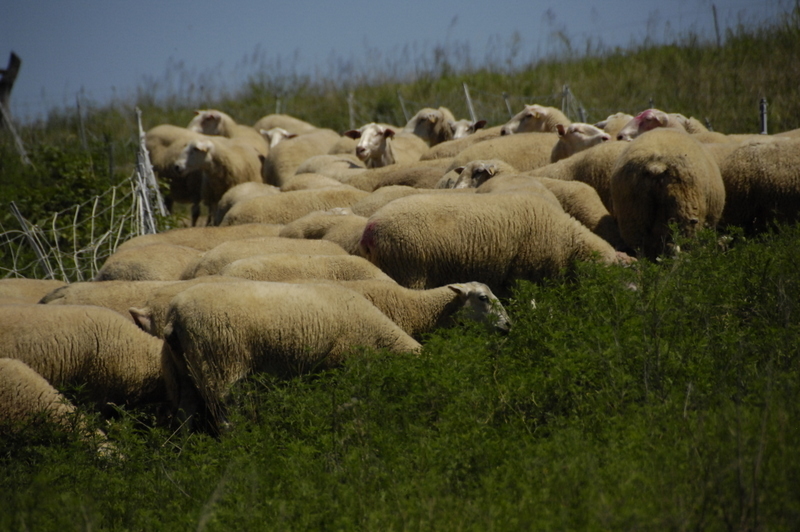 http://www.greendirtfarm.com/ Here’s a photo I took at the farm of the sheep before milking. Yes, it was crowfootgrass in last week’s question photo. It seems to have become more prevalent in the past 10 years. This week’s question concerns a photo I took while on an Agricultural Tour in Missouri last week. What is this a photo of and what are they getting ready to do in here? Good reports of yields and test weights on field corn where we were able to keep it wet. Some poorer producing areas in corn fields I posted about earlier turned out to likely be nematode damage, as the Southern Root Knot Numbers from the sample were over 2300. 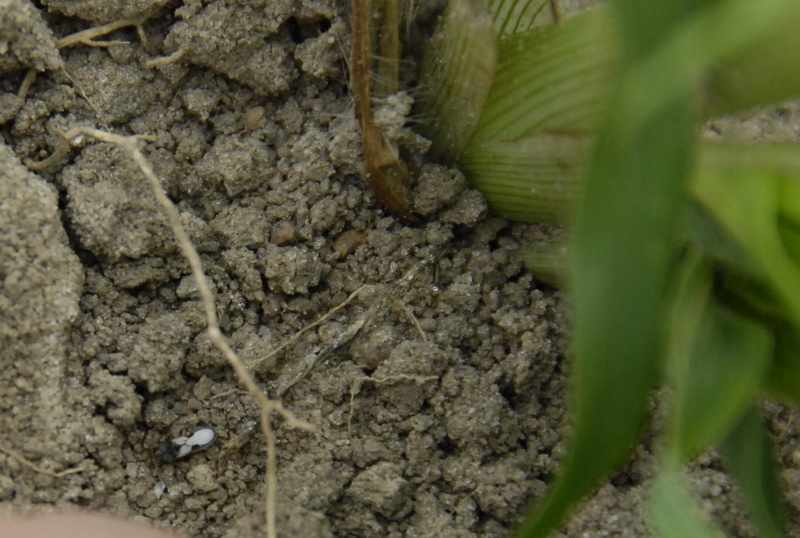 It would be a good idea to take a nematode sample to test from suspect areas in your corn fields. For a nematode test you need a plastic bag to keep soil moist, take the sample from the root zone. Keep the sample cool (ice chest) until you can get it to the Extension office or Lab.